1. 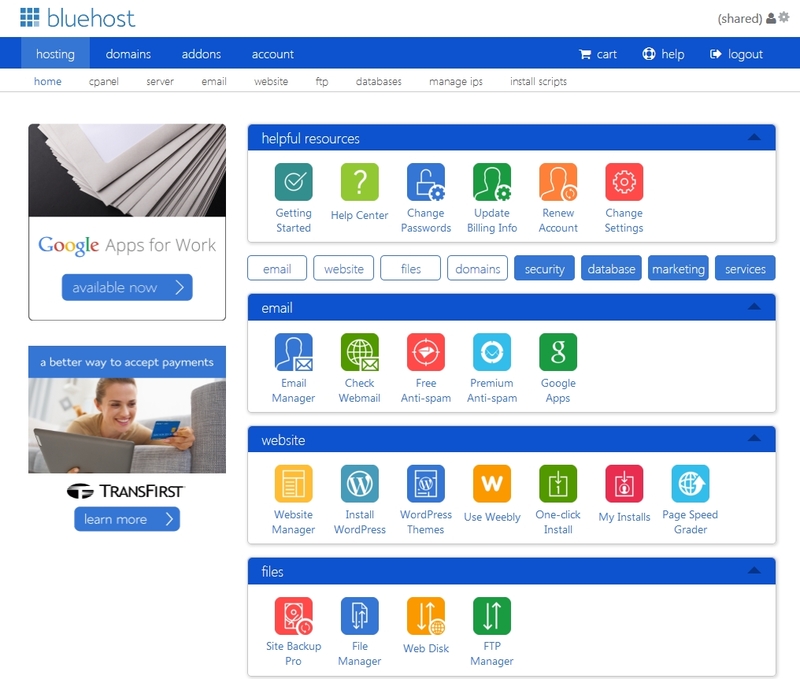 Once your BlueHost account is setup (usually just a few minutes), you can login to your account by going to the BlueHost homepage and clicking the login tab at the top. Enter in your domain name and the password you chose when registering. 2. 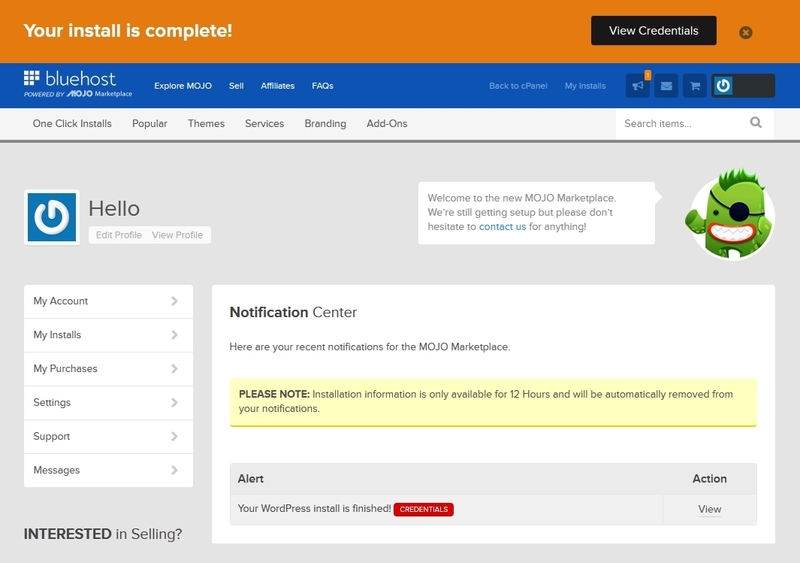 Now that you have logged-in to your account control panel, we can install WordPress, which is the software you will use for your blog. First, close any pop-up windows. 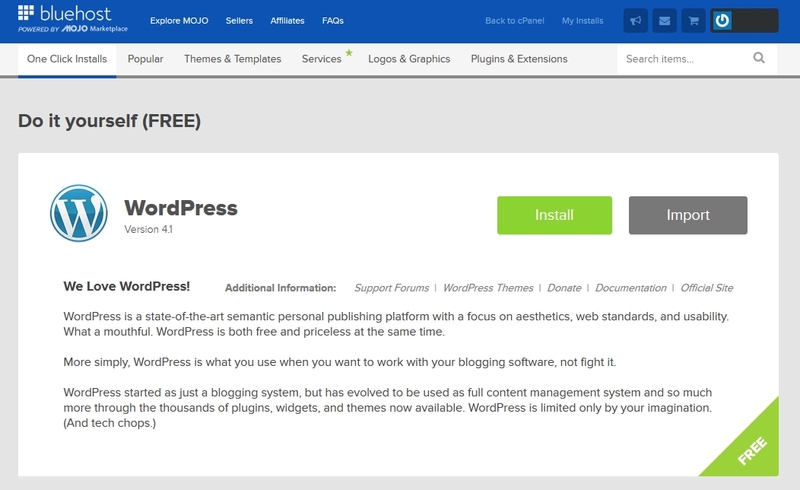 Then look under the “Website” heading and click the “Install WordPress” link. Too complicated? 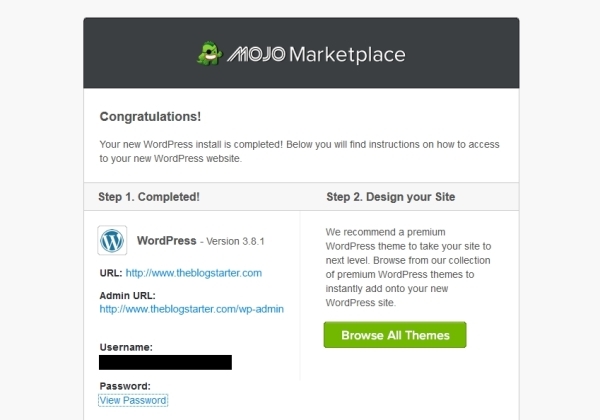 I will install your blog for you for free. 3. Once the installation has completed you can click “View Credentials” at the top of the page to see your login information. This info is only available for 12 hours, so make sure to write it down in a safe place! You will also receive an email with your login information as soon as the installation finishes. 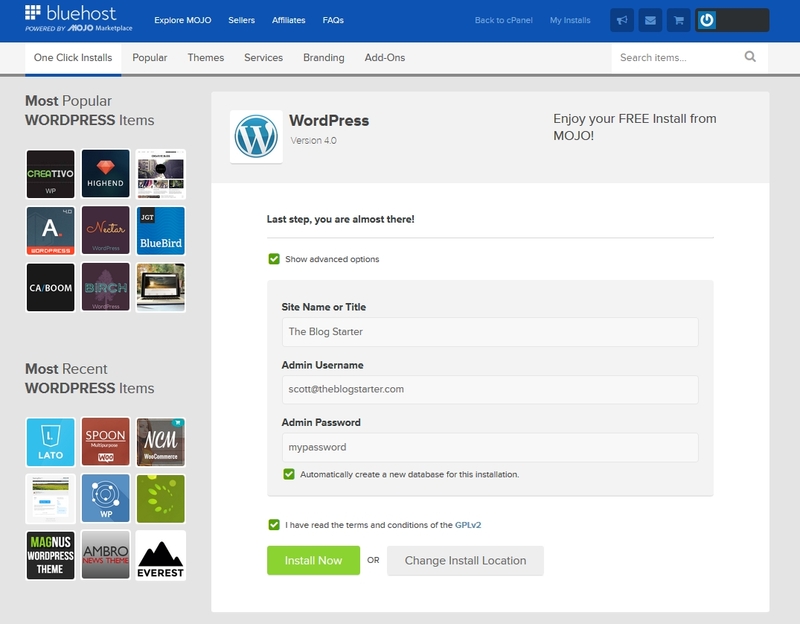 Now that you have installed your blog it is time to learn how to use it. Step #3 of my tutorial will guide you through the process.